When your HVAC unit goes on the fritz, disaster can strike. Fortunately, Penguin Cooling & Heating has you covered. Our team at Penguin Cooling & Heating offers a host of HVAC repair services to help keep you and your family in a clean indoor air environment 365 days a year. Plus, our technicians are fully trained and licensed professionals with up-to-date EPA certification. Do You Need HVAC Repair in Matthews, NC? Our locally-owned business offers some of the best HVAC repair Matthews North Carolina has to offer. Our technicians and owners take pride in the full suite of AC services we offer to the communities in Matthews, NC and the surrounding Charlotte area. Our signature 100% Customer Satisfaction Guarantee provides peace of mind, and our heating and cooling technicians have the expertise to get the job done right. While protecting your warranty, our technicians will have your HVAC system working as good as new, or we will offer a full refund. If you need HVAC repair in the Matthews North Carolina area, trust the experts at Penguin Cooling & Heating to provide heating and cooling solutions without hidden fees or charges. Honesty and professionalism are our two guiding principles. At Penguin Cooling & Heating, we do not waste time trying to sell you a new AC system or upsell your heater. Instead, our team will diagnose every issue your HVAC system has and recommend the most timely and cost-effective solution for each. In doing so, we can save you time and money without having to overhaul your entire system. 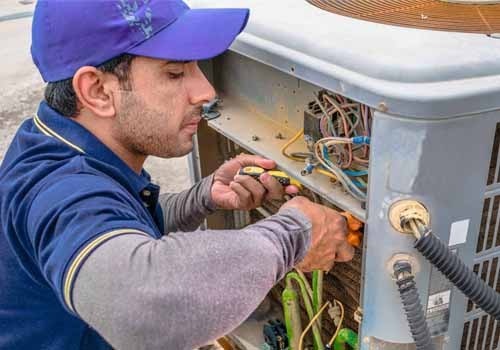 For years, our HVAC repair specialists have offered the Town of Matthews, NC and the rest of Union County with a variety of industry-leading services. Compiled below are our most popular HVAC services that have helped us earn our reputation as one of Matthews’ most trusted and reliable shops for full-suite HVAC installation and repair. Summers are only getting hotter and stickier. That is why it is so important that every household has a functional and reliable HVAC system installed. If you want to make sure your household air is flowing properly and staying at the right temperature, trust the installation experts at Penguin Cooling & Heating to set up your unit and test it to ensure optimal performance. Nothing lasts forever, and especially not ducts or other HVAC equipment. 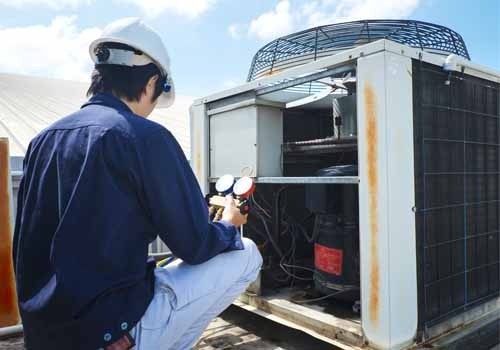 When it is time for your HVAC system to get replaced, you can rest assured that the team at Penguin Cooling & Heating can safely remove and recycle your existing unit and set up new components without delay. Better yet, with Penguin Cooling & Heating you never have to worry about being sold services you do not need. 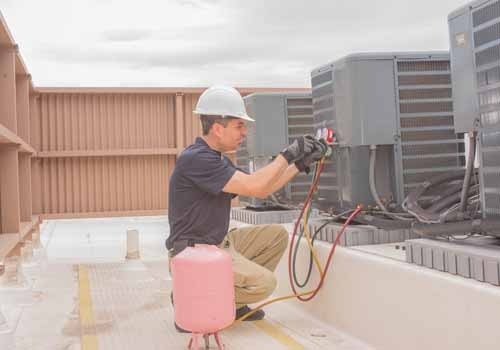 Our professional staff prides itself on its transparency and is trained to detect all the most common duct, filter and compressor issues, which can be replaced on their own and do not require major overhauls to the entire HVAC unit. During the frigid winter months or the hot summer heatwaves, you cannot afford to live in the Matthews, NC area without a well-functioning HVAC system. That’s why we assembled the best team of AC and heating experts to serve you and your family with staunch professionalism and care. All of our technicians are vetted by criminal registries, insured, EPA certified, and licensed. Open 365 days a year, our office is available day and night to make sure you have an HVAC system that supplies your household with clean, pure indoor air. If you are ready to capitalize on our competitive rates, reach out to us today and a receive a free, no-obligation quote.